Slidejoy is launching a new advertising app which will enable users to reduce their monthly bill amount at the same time they are promoting specified advertising campaigns. Yu can imagine it like an Android phone users’ lock screen features an advertisement from various companies. 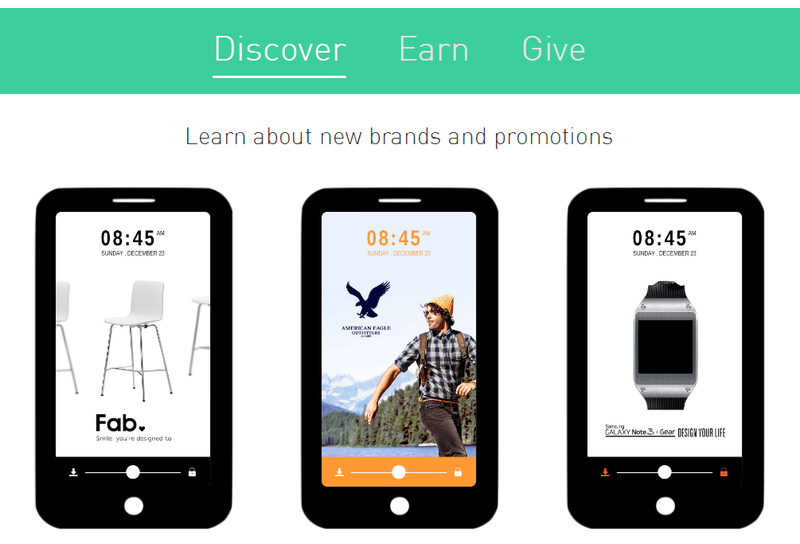 Once the app is enabled in the phone, users can see an advertisement from a wide range of companies. It has been scheduled to feature ads from Adidas, Macy’s and Best Buy etc. There is a good thing for this app is that when users see those ads and download the app, users will get paid. This app introduces a monthly payouts which range from $5 to $15 according to the progress of app. Once users have earned the money which is updated daily, they are given either to take via cash or donate it to a charity. When user slides to the right the ad is ignored and if user left sweeps on ads then the users are given further information on the featured product. Though accepting ads or ignoring ads doesn't have any impact on the payment. There is an option for the Advertisers to design their own ads. If they can't then Slidejoy can do it for them. Mostly the ads are distributed to users based on geography, demographic profile and the device being used. Slidejoy will introduce the app for Android phones initially later on they planned an app for iOS.